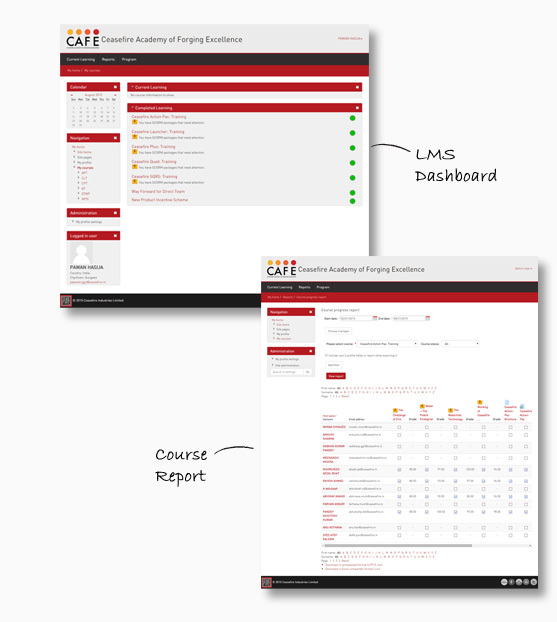 Ceasefire Industries Ltd. required eLearning services and LMS support to fulfill the training needs of over 2000 employees every year. 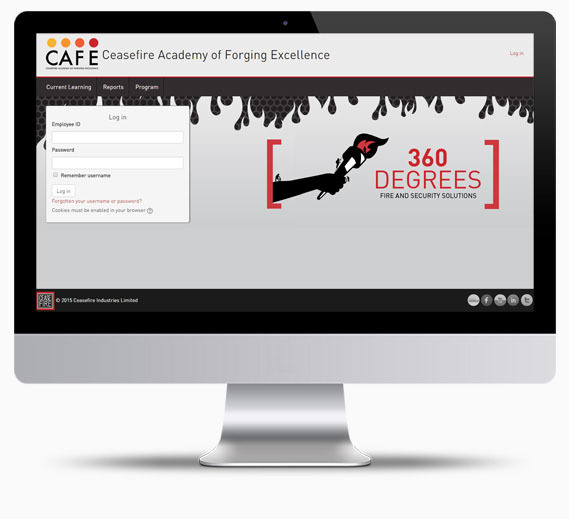 FCS Learning Solutions delivered web-based learning programs and LMS solutions that enabled Ceasefire Industries to train their workforce in a virtual environment, and save the huge cost on physical instructor-led trainings. 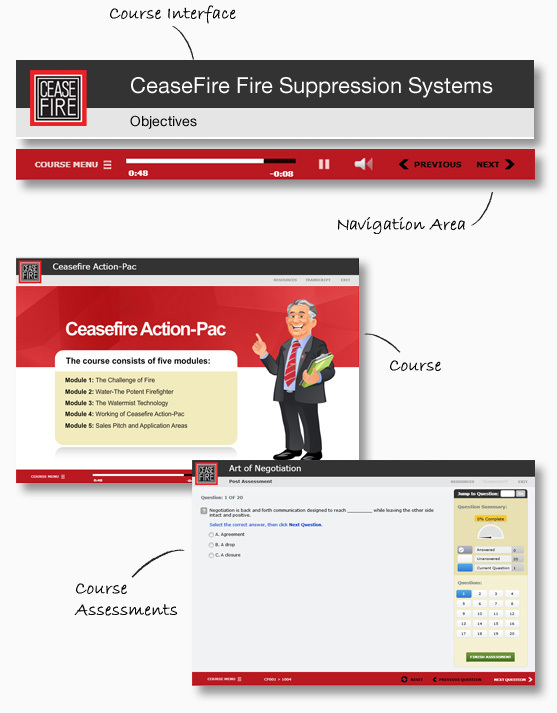 Through our custom eLearning services, we facilitated Ceasefire Industries to expedite the whole training process. 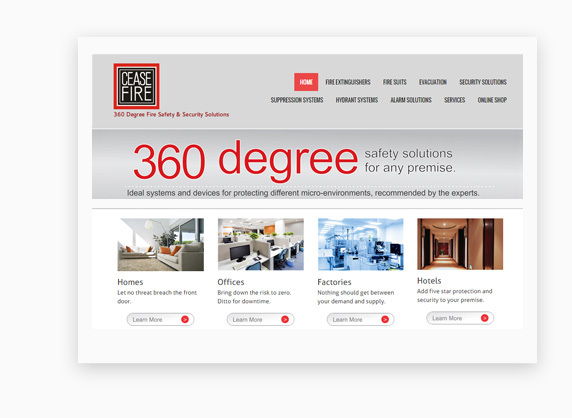 Ceasefire Industries is engaged into providing 360 degree fire safety and security solutions to home buyers, corporates, and government organizations. They have a portfolio of around 400 products under three categories – fire safety, security, and government and institutional solutions. Ceasefire Industries have a team of around 2000 motivated professionals, along with a huge network of branch offices, sales professionals, and service engineers in over 300 cities across India. The company has technology tie-ups with world’s leading organizations like Hochiki and Visonic. Ceasefire Industries delivers sales and marketing training to about 2000 team members every year. The company was using traditional classroom-based learning delivery methods for educating their existing and new workforce about the new and existing products. The process is costing a monthly expense of Rupees 20 lakh towards maintenance of training center, travel arrangement for trainers and trainees, guest house accommodation, and food for everyone. Also, the time invested in training of employees was affecting sales operations. 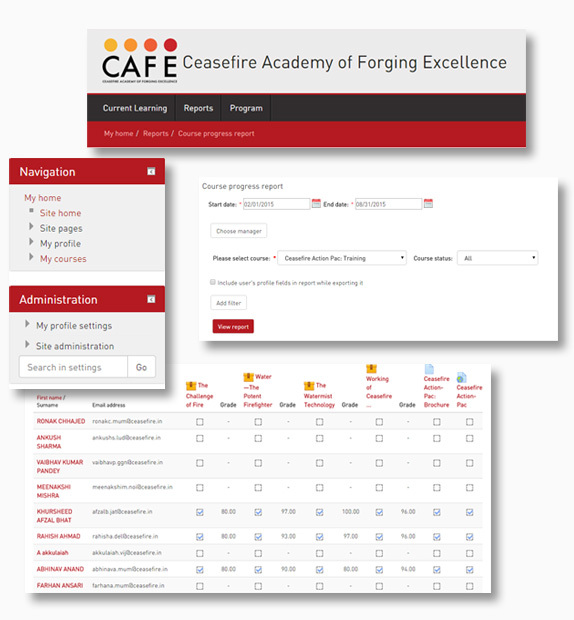 Ceasefire Industries wanted to modernize their approach to learning. The company was looking for cost-effective learning solutions and LMS support for delivering training courses, creating reports, analyzing training needs, evaluating employees’ performance, and streamlining the existing process.